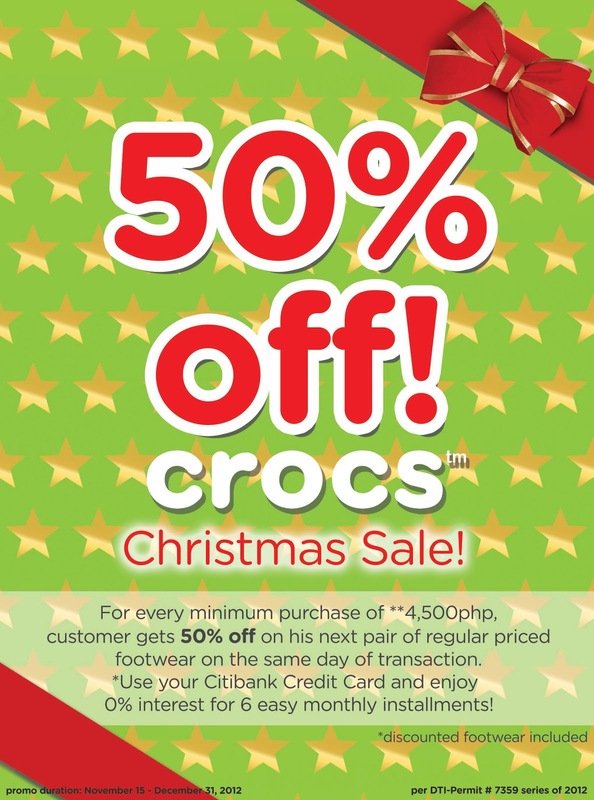 IAMBRIGITTE : CROCS Christmas Sale! The complete Fall/Holiday '12 collection is now available in ALL Crocs stores. So hurry up, and nab yourself a pair (and your loved ones) or pairs, and take advantage of this limited time offer! Visit www.crocs.com.ph and Crocs Philippines on Facebook and @CrocsPH on Twitter for more info.